Is your nightly routine enough for fresh youthful skin? Looking tired? What if you could improve the appearance of your skin while you sleep? 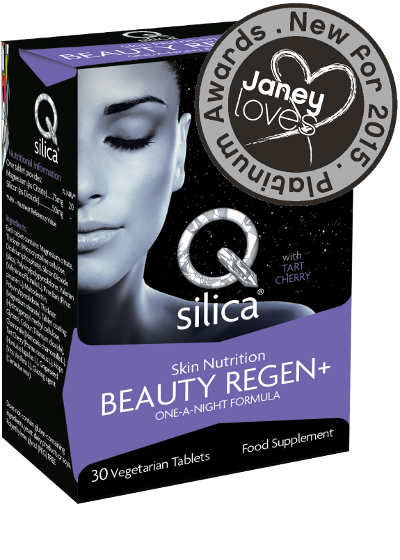 The creators of the holistic skin care range, Qsilica have created Beauty Sleep – a dual action product range that improves sleep and supports skin renewal whilst you catch-up on your zzz’s. Qsilica’s ‘inside and out’ approach to beautiful skin is reflected in the range, which includes a daily supplement and a nourishing night cream. Scientifically formulated, they incorporate therapeutic ingredients that aid sleep to maximise the effectiveness of the cellular regeneration process and further enhance a graceful ageing process.